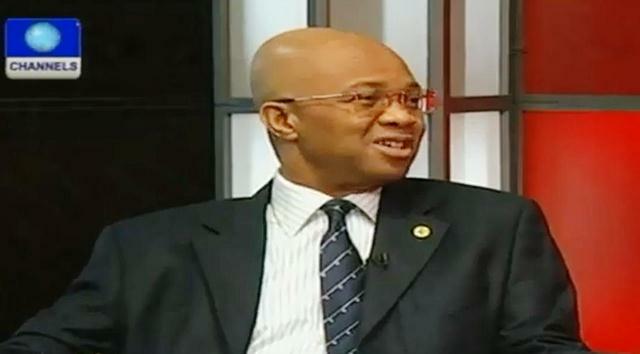 The Lagos State Commissioner of Economic Planning and Budget, Ben Akabueze, has reiterated that the economy of Lagos State is very robust and vibrant. He made this assertion while appearing on Channels Television as a guest of Sunrise Daily, to discuss the vision of the Lagos State Government for the development of its economy and the plans for its forthcoming Economic Summit. He said that the Lagos State Government was working to ensure that a greater proportion of its budget is put into capital expenditure as that is what fuels growth in the economy. He added that it has been proven that there is a link between infrastructure development and economic growth. He revealed that the state had a medium term budget strategy which spans over 3 years, and this creates a number of projects to be executed within the period. He said that having such medium term plan then requires that funding is provided annually to facilitate the projects involved. He also revealed that Lagos State has a long term plan that looks as far as the year 2025, with a vision of where the state should be. The plan in this regard is to transform Lagos into Africa’s model mega city in terms of social infrastructure, healthcare, education, transportation and other modern metropolitan features. Akabueze noted that Lagos at the moment was already a mega city by its population of over 10million people; the government was aware of this and therefore is not aspiring to achieve being a mega city but becoming a “model mega city”. On his view about the economy of the state, Akabueze noted that Lagos contributes about a quarter of the country’s GDP, which amounts to 60% of the GDP if the oil and gas contribution is removed, with 60% of the commercial activities in the country also being done in Lagos. He added that the single largest power generation plant is in Lagos along with the 2 largest distribution companies as well, which accounted for up to 50% of revenues in the entire national power company. The Commissioner noted that for Lagos State, they are aware that Public Private Partnership was an imperative towards achieving its vision of a model mega city. In the state’s developmental vision up till 2025, the state reckons that it must have a minimum 15,000 megawatts of power and the upcoming Economic Summit is targeted at highlighting the investment opportunities in the power sector in Lagos. He revealed that to generate 10,000 megawatts of power which is needed on the immediate, would require about 1billion dollar investment but an additional 10,000 megawatts of power in Lagos would turn around the economy in every sector including agriculture as he emphasized the peculiarity of Lagos having a ready-made consumer base for agricultural products.